Posted on January 17, 2018 by treelawyer	tagged. We’ve talked before about recreational users acts, which are statutes in just about every state that encourage landowners to permit recreational activity on their undeveloped land. 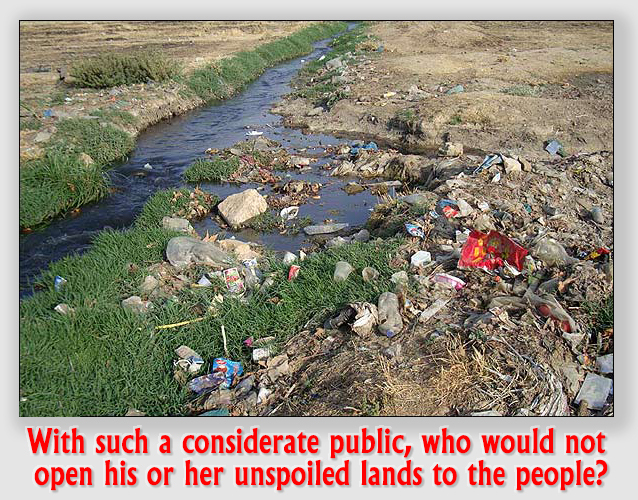 The notion goes that by shielding property owners from liability when Connie Klutz, out for an afternoon of bird-watching, blunders into a pool of quicksand, they will magnanimously open their lands for free to the litter, noise and hubbub of the general public. Your alternative to RUA protection is hardly as pretty. If you invited him onto your premises, and he was not a recreational user, you owed him “the highest duty of care.” If he was a mere licensee, a person “who enters or remains on the land of another for the licensee’s own convenience or to advance his own interests, pursuant to the landowner’s permission or consent”, you still are liable if there is an “unreasonable failure” on your part to exercise reasonable care with respect to dangers you created or failure to warn of dangers you did not create but which “are not ordinarily present on property of the type involved and of which the landowner actually knew.” Even if your clumsy hiker is simply a “trespasser,” a person who “enters or remains on the land of another without the landowner’s consent,” he may recover only for damages you willfully or deliberately caused. How much easier just to make anyone who gets hurt on your land a recreational user. Under Colorado’s RUA, “the owner of land who either directly or indirectly invites or permits, without charge, any person to use such property for recreational purposes” will not be responsible for “any injury to person or property… caused by an act or omission” of the landowner. Jim Nelson, a guy who regularly ignored the “Entry Illegal” signs, managed to ride into a “large sinkhole” – what, Jim, you didn’t see it? – and racked himself up rather badly. At trial, he stuck it to USAFA to the tune of millions of dollars. The Tenth Circuit, however, had other ideas. Whether it invited Jim or not (and the Academy was sure it had not), he was a recreational user, and the Academy seemed to be as free as a falcon. 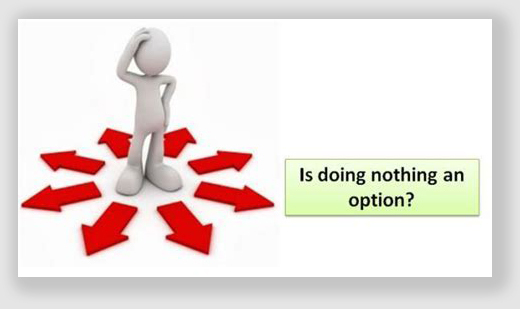 Who said “doing nothing is not an option?” Certainly not the Tenth Circuit. Nelson v. United States, 827 F.3d 927 (10th Cir. 2016). Jim Nelson was a regular user of a bicycle path located on property that is part of the United States Air Force Academy. While riding in the fall of 2008, he struck a large sinkhole and severely injured himself. Two signs stood near the path’s entrance. 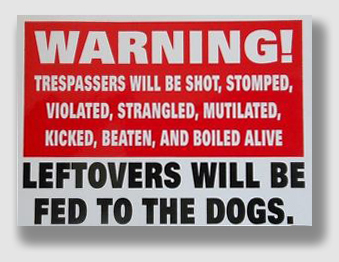 The first sign was erected by the Academy and informed visitors that entry was illegal without permission. The second sign, located closer to the path’s entrance and easier for bikers to read, stated, “Bicycle Path, No Motorized Vehicles.” The Academy did not erect the “Bicycle Path” sign, nor did anyone there know who did or when. But the sign was displayed for at least as long as Mr. Nelson had been using the path. A year before the accident, the Colorado Department of Transportation offered to remove the sign, which was near the right-of-way on Interstate 25 as the highway crosses Academy property. The Academy, however, never responded to this email and the sign remained in place until Mr. Nelson’s accident the following year. After the accident, the Academy closed the path. Mr. Nelson sued the United States for his injuries. The district court found the Academy knew the path was used for recreational purposes such as jogging and biking, although USAFA considered bike path users trespassers on Academy land. Nonetheless, the Academy never confronted recreational users or prevented them from using the path. The district court also found that the Academy did not intend for the path to be a recreational trail open to the public. Based on these findings, the district court held the Academy could not take advantage of the limitations on liability under the Recreational Use Act because the Academy had not intended to open the path for public recreational use. And since the Academy knew bikers were using the path and was aware of the sinkhole, it breached its duty of care by failing to repair the sinkhole or warn users of the risk. No one thought USAFA directly permitted use of the path – in fact, the Academy considered users of the bike path to be trespassers. 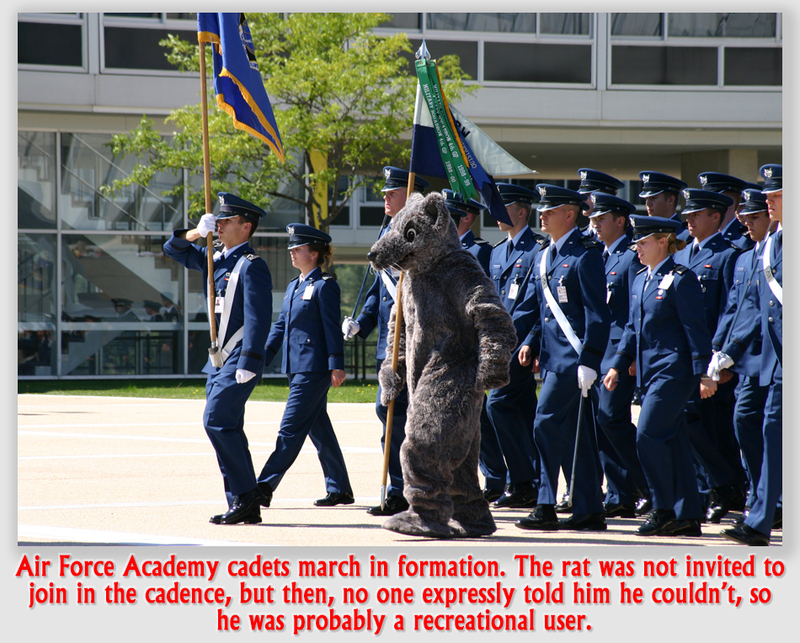 But the Air Force Academy knew people used the path all the time, knew someone had placed an unauthorized sign at the start of the party, and never removed the sign or otherwise prevented use of the path. This conduct, the Court said, “can only be seen as indirectly permitting bikers such as Mr. Nelson to use the path for recreational purposes. The Court said there was no “subjective intent requirement” required under the RUA. In other words, you don’t have to intend to offer your land for free recreational use. It’s enough that you don’t stop people.